SGI is a non-profit Christian organization focused on serving Muslim communities in need, both in the U.S. and around the world. We send and support teachers in Iraq, partner with refugee relief in Iraq and Europe, and offer support for refugees and migrants into the Nashville area. We are a non-denominational agency with team members from a variety of backgrounds. SGI was founded in 1992 in response to the arrival of hundreds of Kurdish refugees to Nashville after the first Gulf War. Since that time our work has expanded to include teams and projects in Europe and the Middle East in addition to Nashville. John Nelson serves as the Executive Director. 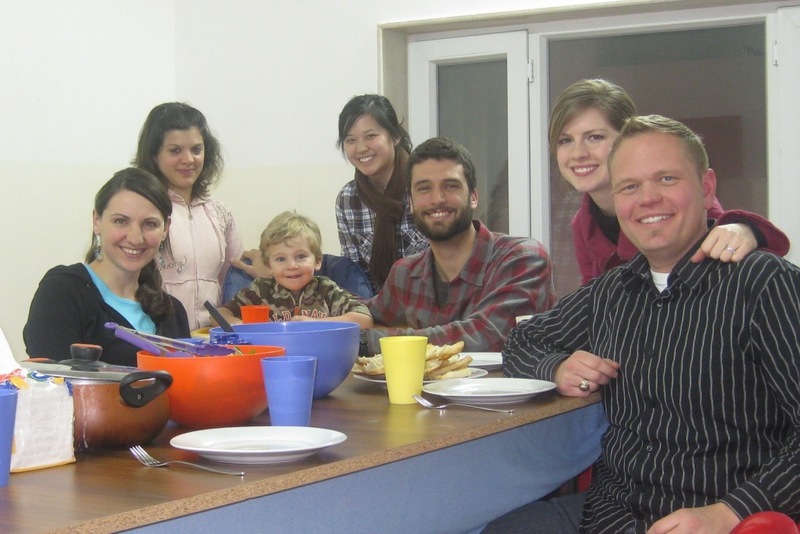 John and his wife Mary lived and worked with SGI in Iraq from 2010-2014. They currently have three young children, Henry, Millie, and Ned. Dave Dillard has worked with SGI since 1993 and currently serves as the Associate Director. Dave’s passion is to help everyday people use their gifts and talents to serve. Colleen McGarry is lead coordinator for SGI’s team of volunteers and associated programs in the Nashville area. Colleen served with SGI teams in Iraq for 6 years. Lisa Harris serves as the Director of Team Development. She is in charge of recruiting, training and deployment of new team members. Lisa has been with SGI since 2004. Kim Goddard is our Office Manager. She handles all donor questions, gifts, receipts and in general keeps the office alive and in order. Kim has been with SGI since 1995. Steve Goddard is our Local Liaison. He serves the Nashville Kurdish and Arab communities through direct interaction and mediation with Metro offices. Hannah Sasscer is our Iraq teams Recruiter. She served with SGI teams in Iraq for 5 years. Now she attends conferences, hosts and edits our podcast, among many other things. Aaron Thomas serves as the Field Development Director. He recruits and leads trips to serve our Greek ministry partners as well as fundraising and expansion efforts. Aaron and his wife, Karrie, live with their three boys in the Washington D.C. area and are pastors at Restore Church. You can designate gifts to a particular project or team member, or direct your gift to be used “where most needed.” At present, our greatest needs are (1) funds to recruit, deploy and sustain team members in Iraq, and (2) funds to help support projects serving refugees in Iraq and Greece who lost their homes to ISIS. Funds designated “general” or “where most needed” will be used for these projects and to help support overall ministry operations. Can I earmark my donations for a certain person or project? Yes, a list of active approved projects and/or team members can be found in the pull-down list on our donate page. To inquiry about other designations, please email our office manager Kim Goddard (kgoddard@servantgroup.org) or call our offices at 615-832-2282. Yes, SGI is a registered 501(c)(3) non-profit organization and all gifts are tax-deductible as allowed by IRS regulations. Yes, the SGI Home Office mails a tax-deductible receipt for most donations. Donations processed via bank draft and/or online will receive a year-end receipt each January. How does SGI decide what projects to fund? Our projects are built upon relationships, in particular long-term relationships we have with national believers serving in their communities and our teams working along side them. In concert with national believers, projects are selected and approved based upon potential for long-term impact, their ability to meet immediate felt needs, and long-term sustainability and viability. How is SGI held accountable? SGI is governed by a Board of Directors with 75+ years experience managing mission projects and teams. We undergo an independent audit each year, copies of which are available to any potential donor upon request. Where does SGI get most of their funding? About 55% of our support comes from individuals, 32% from churches, 8% from foundations, and 5% from other organizations and Christian-owned businesses. Almost all our funding comes from sources inside the U.S.
What percentage of my donation goes to fund overhead expenses? Typically, 5% of each donation is allocated to help fund ministry overhead expenses. How do I find out more about specific financial needs? For more information regarding specific financial needs, please email our office manager Kim Goddard (kgoddard@servantgroup.org) or call our offices at 615-832-2282. What will SGI do with my name and address information? We will protect your privacy and will not share your name and address with any other organization or business. In addition to tax-deductible receipts, we will send you a copy of updates about our ministry from time to time via email or regular mail. How can I update my donor information? Please email our office manager Kim Goddard (kgoddard@servantgroup.org) or call 615-832-2282. If you donate online, you can update your donor information by going to the donate page and clicking the login link at the top right of the page. Is SGI affiliated with any church or denomination? SGI is a non-profit Christian agency supported by a wide variety of churches. We are not affiliated with any particular church or denomination. Will SGI accept a matching gift from my company? Yes, for more information please contact our office manager Kim Goddard (kgoddard@servantgroup.org) or call 615-832-2282. Gifts-in-kind (i.e., donated materials or special items) are welcome depending upon the need. Typically, we are not able to send material contributions overseas to Iraq, but we do accept donations for help with refugee work in Middle Tennessee. Per IRS regulations, receipts for gifts-in-kind will acknowledge the donation of items, but cannot establish a monetary value for donated items; that is the responsibility of the donor and/or their tax advisor. Can SGI accept stock donations? Yes, please contact our office administrator Robin Dillard at robin@servantgroup.org or 615-832-2282. Rock Bridge Community Church, Inc. The Arthur W. Perdue Foundation, Inc. Hearth & Home Ministries, Inc.
SGI subscribes to the Statement of Faith adopted by the Evangelical Council for Financial Accountability (ECFA). The best thing about my travel to Iraq / Turkey was getting stuck in Istanbul for three days and having to see the sights. As I flew away from Kurdistan I was listening to "What a Heart is Beating For" and I must admit I shed a few tears...Kurdistan had gotten deep into my heart and it will always be there. I pray for that place and those people every day. The most interesting food in Iraq, Kouzi; the lamb is so tender and moist. It is amazing! I think the opportunity for change is greatest when we are open and ready to be changed ourselves. I did not come to Kurdistan to change the people or the culture, I came to love. I am changed from my amazing relationships and experiences living here. "Pack flexibility ... the best advice I ever got!" "The hardest thing for our family is the thought of having to leave one day; Kurdistan has become our home, a place we love with people we love." The folks at SGI care about their field people. There is a tangible sense that they are always looking out for your best interest. The most embarrassing thing was having to ask for money from an airline attendant after landing in Turkey with only $14.13, not even enough for the entrance visa. The SGI staff are an interesting and unusual group; they are gifted professionals that also truly care about serving the people. "The hardest times will also be your best times. God will use them to grow your dependence on Him in ways you never imagined." "When we moved to Kurdistan, I was really surprised at how much they love Americans and all things American, to the point of having American flag seat covers in many of the taxis in the city!" God really worked on my heart while I was in Kurdistan. I learned to look for the value in each individual relationship and not focus on making my agenda get accomplished. "The best thing about my travel to Iraq / Turkey was getting stuck in Istanbul for three days and having to see the sights." "The folks at SGI are my second family. I love them all." "I was really challenged by my trip to Iraq that formulas often don’t work, but trust worthy and conscientious people can achieve much." It was a wonderful time! I have gotten better at seeking to love someone who is so different from me. So thankful! When people ask me why I teach in Iraq, then I'm sure they haven't met my wonderful students! "When I moved to Kurdistan, I was really surprised that street crime is almost non-existent. I think I had more risk at my home in the US." "One of the great things about living here is the simplicity of life...it is a nice change from the busy lifestyle in the States." Sometimes getting kids to pay attention was nearly impossible. "The simplest tasks were complicated by never knowing where to buy anything. If you ask the locals the answer is always . . . always . . . "in the bazaar", which is about 3 square miles." Tutoring is a lot easier than I thought it would be. I didn't think I was qualified to be a teacher. I knew next to nothing except stereotypical rumors about Muslims and I had never met any Kurdish people in my life. Interacting with the Kurdish culture was very beneficial. SGI lets you take your gifts and explore how they can be used in the place you're in. They aren't based on formulas. They care about you as an individual. I definitely learned a lot about the planning process and trying to fill the time wisely with work that will be profitable for the kids but also fun. When people ask me why we stay in Iraq the answer is so easy---love! Watching the kids get really involved in something they were interested in was really awesome. The light bulb moments were very valuable. The funniest/most embarrassing thing that happened was finding out that, for three weeks, I had been miss-pronouncing my co-teacher's name so that it came out in Kurdish as "she tastes good." The experience was a real blessing, and felt less and less like a service as we progressed. It was a blessing to see the children respond. Teaching in Iraq is nothing like the states...for instance, in Iraq you should not expect your classroom doors to have door handles. Then you will be pleasantly surprised when they are actually appear a month into classes. The main thing I remember about teaching in Iraq is how much fun I had just talking with the kids at lunch time. They asked so many questions! I didn't know how little kids act, so I was shocked at the things they said. I'm also encouraged by the fact that I saw improvement in such a short amount of time. The greatest thing about my time inIraq was undoubtedly getting to know my students. Discussing their thoughts and ideas in class was an incredible experience...I hope for both of us. Coming to Iraq, bringing my daughters to Iraq, living in Iraq...that's not the hard part. Leaving will be one of the hardest things I've ever faced! I already know that.